Jill Of All Trades: Bedtime Rituals with my 4 month old! 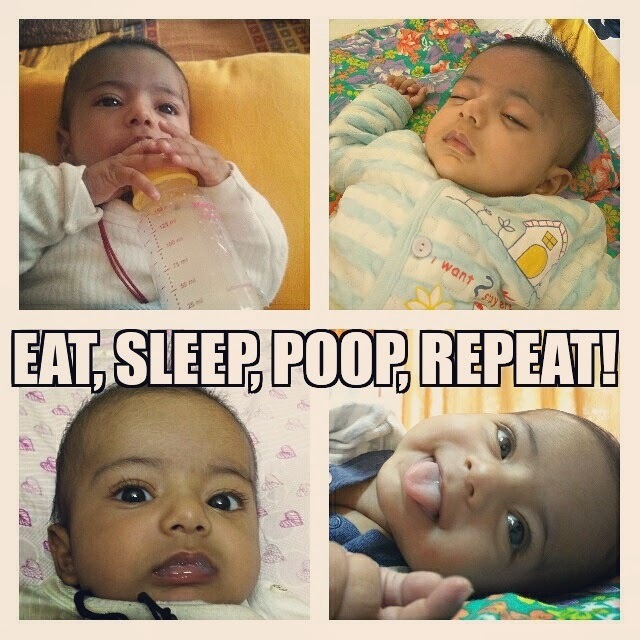 The first 3 months were a havoc when it came to sleeping schedules and bedtime rituals. My baby kept me up all night! Yes. He max slept for an hour or so but otherwise was wide awake. It was a very stressful and frustrating phase for me, and my folks assured me that it would soon pass. And it did! Soon he started sleeping at 11pm or midnight and woke up at 8-9am (of-course there was a waking up for feed around 5-6am). It felt so nice! He is a very hyperactive talkative baby, who just babbles and coo's and simply does not want to sleep! Putting him to sleep is one art, I tell you! So here is his bedtime routine- Once his tummy is full and he has burped, I change him into his night time clothes, usually pyjamas or a full sleep-suit. Diapers are a must because otherwise he will wake up in no time. From the beginning we have used and trusted only Pampers for that. All our relatives and friends suggested to go for pampers and nothing else! I have tried all - The standard diaper, the active baby and the pampers pants. The active baby diapers are super soft and prevent diaper rashes while the pampers pant style diapers are very easy to put on and look comfortable! Next I swaddle him so that he is cozy, and since he gets startled very easily, swaddling makes him feel secured. Then there is a combination or rocking, swaying and singing lullabies that finally put him to sleep. His grandmother loves to sing "Yashoda ka nandlala, brij ka dulaara hai" to him.. While I prefer English ones like Rock-a-by baby or Silent Night. Sometimes I even play soothing music on my smartphone for him. He is a cranky fussy child since birth and we use a pacifier/soother. So when none of the tactics work, we finally give him a pacifier which puts him to sleep. Thanks to his diaper, even if we wakes up for a mid night feed he drifts back to sleep soon and I do not have to go through the different methods used to put him to sleep all over again. Now coming to the best part. When he wakes up in the morning he is all fresh and smiling! He makes my day start on an awesome note with all the stretching and smiling he does! The only reason he smiles is because he is not feeling uncomfortable in a wet diaper. He has not even experienced diaper rashes yet, so I am grateful! If you're a new mom and reading this, do share your bedtime rituals with me! I simply can't wait for him to be big enough to understand bedtime stories, I'll be telling him stories every day then! 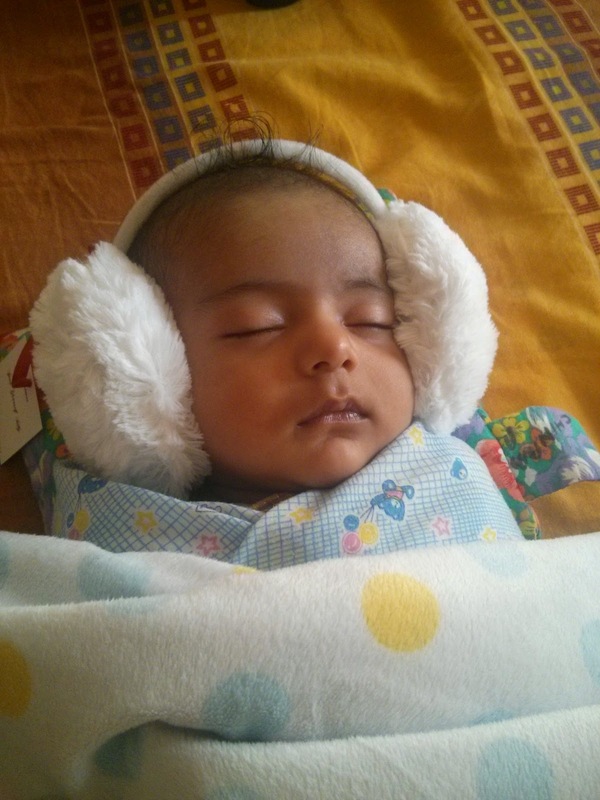 Disclaimer: This post is a part of Indiblogger's campaign for Pampers.